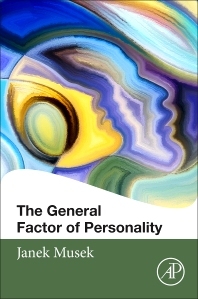 General Factor of Personality (GFP) is the most basic dimension of human personality, it is a common denominator of our largest personality traits. The General Factor of Personality improves our understanding of the personality structure and the relations between major personality dimensions, as well as major dimensions of the entire non-cognitive sphere of psychological variables. The results of the empirical testing and theoretical evaluations in this book contribute to the more comprehensive and precise theoretical framework of the General Factor of Personality (GFP) and that of the entire personality structure. Additionally, the book answers some unresolved questions concerning the nature of the GFP, including whether it is based more on correlations in real behavior or on other less substantial factors between lower-order dimensions of personality. This book is crucially important not only for theoretical reasons, but also for the tremendous practical and applied value of the assumed general dimension of personality. Being a common denominator of all the most important fields of personality beyond cognition (Big Five, well-being, coping, emotionality, motivation, self-concept, self-esteem, control, wisdom and others), the GFP represents an extremely strong single predictor of the quality of life, mental health and well-being, career, academic success, and the quality of family and interpersonal relations. Dedicated to researchers and students in social, personality, and cognitive psychology and related disciplines.